Can Griffin translate their success in Challengers Korea to the LCK? The best team in Challengers Korea are about to begin their LCK climb. Griffin knew they would qualify for the LCK Summer Split. There was no cheering nor any visible signs of excitement on the faces of Griffin’s players once they had beaten MVP and secured their place in the LCK Summer Split. Instead, the five players kept a calm, confident demeanor as they stared at the victory screen displayed on their monitors. The reaction was so subdued that caster Lee “CloudTemplar” Hyun-woo asked if the win was “obvious” after the match. “If we just play our usual way, I felt like losing against them would have been a difficult task,” Griffin jungler Lee “Tarzan” Seung-yong replied. Tarzan’s response may have sounded cocky, but Griffin’s performance throughout the summer Promotion tournament more than backed him up. Griffin’s play against MVP and Kongdoo Monster was reminiscent of their recent time in Challengers Korea, where they earned a 14-match winstreak, which has since extended to 16 matches after their conquests over MVP and Kongdoo. Since the LCK’s formation in 2015, no Korean challenger team has stirred anticipation or excitement from pundits and fans to the degree Griffin has. The last Korean challenger team to arouse any noticeable excitement was ESC Ever almost three years ago. But by the time ESC earned promotion to the LCK, it no longer had the same lineup that beat the likes of CJ Entus and SK Telecom T1. Unlike ESC Ever, Griffin heads into its inaugural LCK seasonal split with its lineup of burgeoning stars intact. Griffin’s top laner Choi “Sword” Sung-won and AD carry Viper both possess stellar mechanics, which they transition into dominant laning phases. Throughout the entirety of Challengers Korea spring, almost nobody could match Sword and Viper in lane, save for few players like DAMWON Gaming’s AD carry, Kim “Veritas” Kyoung-min. Griffin jungler Tarzan, meanwhile, is a rookie talent with a slew of hype surrounding him. A strong mechanical player like Sword and Viper, Tarzan dominated his jungle competition. Tarzan’s skill is fully unleashed, however, when he’s paired with mid laner Shin “Rather” Hyeong-seop. In Challengers Korea, Tarzan would constantly invade and prevent jungle invades—knowing all along that Rather would quickly come to his aid on champions like Galio and Vladimir if needed. And supporting these four is a player who, for the last two years, has been on the cusp of LCK qualification: Son “Lehends” Si-woo. The diabolic Singed off-role in Korean solo-queue, Lehends converts to a maestro of engage supports once he steps foot on the professional stage. Partial to supports like Alistar, Shen, and Taric (all champions with the tools to begin fights), Lehends is Griffin’s engage. Lehends’ strengths come from his ability to consistently find opportunities to either start fights or lockdown an opposing player on various support champions. It’s become expected from fans to see Lehends pull off at least one multi-man Shen flash taunt or Alistar knock-up per game. 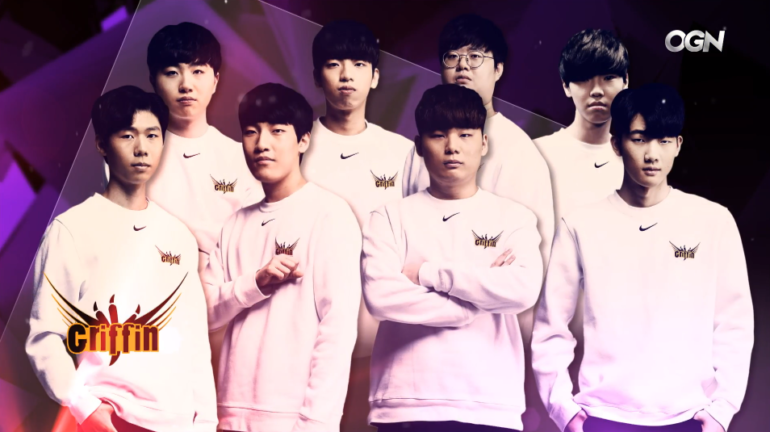 Assembled together under the Griffin banner and led by coach Kim “cvMax” Dae-ho, these five players become a powerful teamfighting squad that could come back from the most perilous situations. Throughout Griffin’s undefeated run in spring, it was common to see them fall behind during the early to mid game. Sword and Rather were susceptible to ganks, despite being strong laners. Though the two would do their best to dodge and weave around the enemy jungler and laner combo, they’d eventually fall, giving their opponents a lead to work with. Griffin’s tendency to grow overconfident at times—in addition to their susceptibility to ganks—created situations that allowed opposing teams to snowball an early lead. Teamfights, usually around either the Baron or Dragon pit, were usually what allowed Griffin to come back from major deficits. Griffin forced fights around Baron and Dragon by abusing the more lackluster vision control of challenger teams. Enemy teams were goaded into the bait, fell prey to Griffin’s teamfighting, and gave up their leads. But Griffin’s teamfighting, while a major strength, has in a way become a curse. 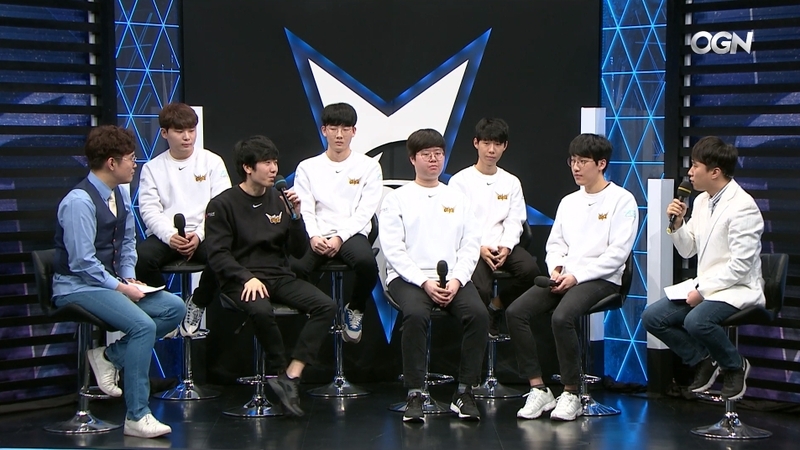 “I’d really like for my players to more accurately pull off the initial plan that we form during picks and bans,” coach cvMax told Inven Global when asked what refinements Griffin must make before entering LCK summer. Griffin’s grown a more cavalier attitude at not meeting their early game win conditions. They gradually became content spending the first half of the game in a gold deficit, since they’ve always made a comeback by the 20-minute mark if they ever did fall behind. “We’re not a team who came from the second division who’s trying to do do mediocre results-wise,” cvMax said. If Griffin want to meet their coach’s lofty expectations, early game improvements will need to be made in time for the LCK Summer Split. Griffin’s players won’t be able to rest on their mechanics and teamfighting against the likes of KINGZONE DragonX, KT Rolster, and Afreeca Freecs, LCK teams with supremely talented rosters. In a few weeks, Griffin will enter a league filled with teams and players who hold various domestic and international accolades. Griffin will no longer be the team to fear. Instead they’ll need to prove they can matchup against the LCK’s upper echelon. It will be up to Griffin to translate their challenger success in LCK stardom—lest they fall into obscurity like many of their predecessors.